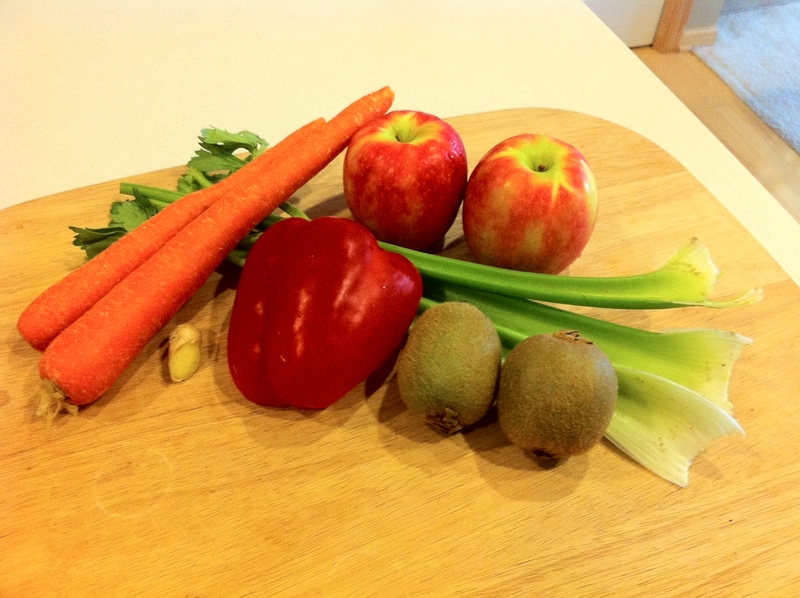 Morning Juice #2 – Go Blondie! 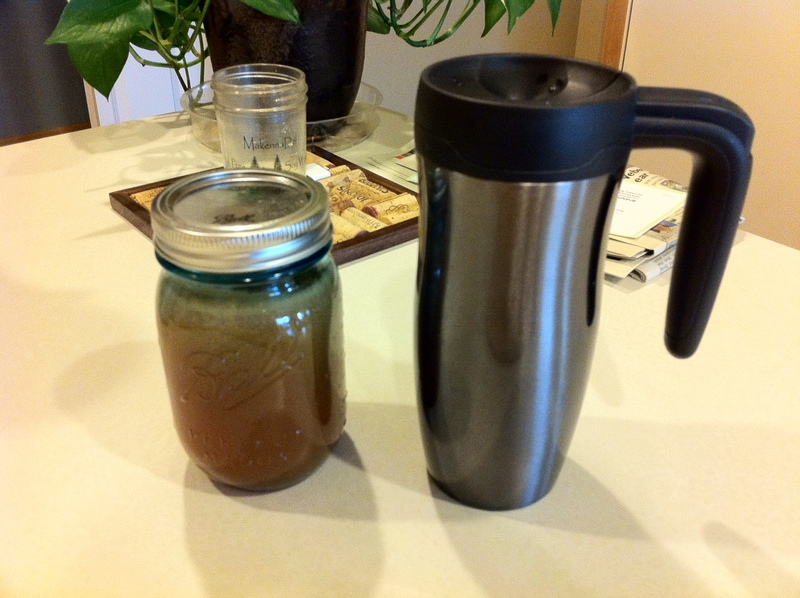 Here is my Juice I made last night for breakfast and lunch for today. I put one portion of the juice went in my mason jar for lunch and then I put other portion in my travel mug for on the way to work. 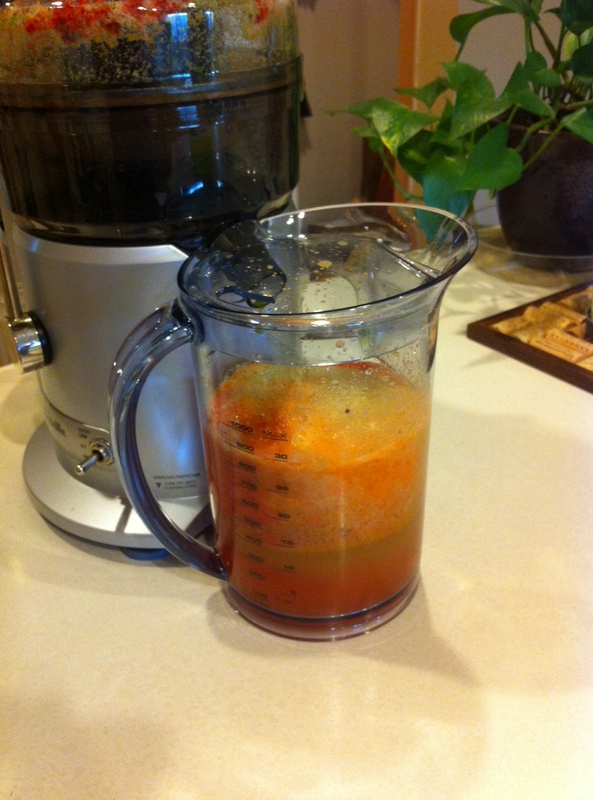 I loved my juice; HOWEVER, I did not care for the celery after taste for a morning drink. Eek, ick I can taste celery while I type this. When I drank my other juice for lunch I did not mind the celery taste. Just a preference I guess. Carl picked up oranges and yogurt for my juices for tomorrow. I can’t wait to try oranges in the juices, yum.